A stay at a big-name resort comes with perks like full 18-hole golf courses, miles of trails, and several restaurant options on-site, but a smaller boutique inn has its own upsides, including peace and quiet, privacy, and personalized extras. Book a stay at one of these small boutique hotels and experience luxury in a whole new way. The Inn at Warner Hall is off the beaten path of an already less traveled section of Virginia, but this Northern Neck haven should not be overlooked when considering an upscale experience. Listed on the National Register of Historic Places, the waterfront plantation was originally built in 1642 by George Washington’s great-great grandfather. The manor has been rebuilt several times since then, with the current structure dating to the early 1900s. 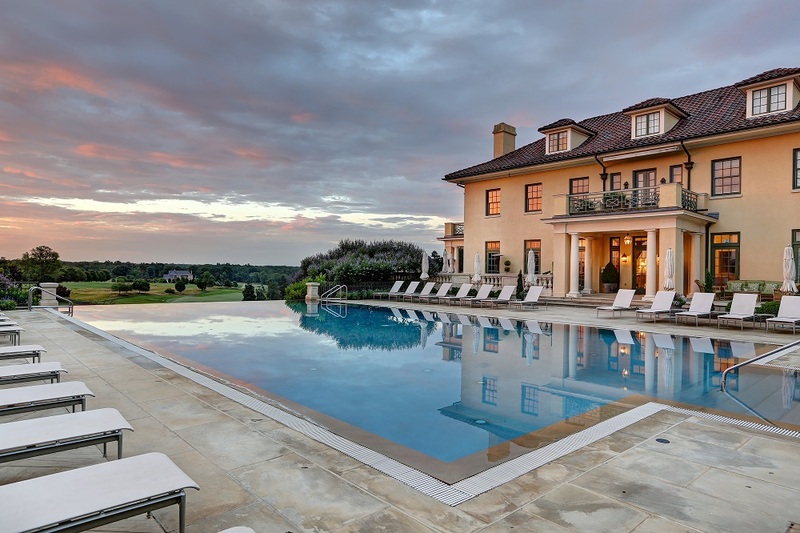 Today, the estate occupies 38 acres on Virginia’s coastline, with the waterways leading to the Chesapeake Bay. Eleven well-appointed guestrooms are furnished with period antiques, and features like Whirlpool tubs, gas fireplaces, and comfortable luxury linens add the modern comforts expected in a first-class inn. Start your day with an excellent home-cooked breakfast, such as the Warner Hall Eggs Benedict, which includes Chesapeake Bay crab and potato cakes. 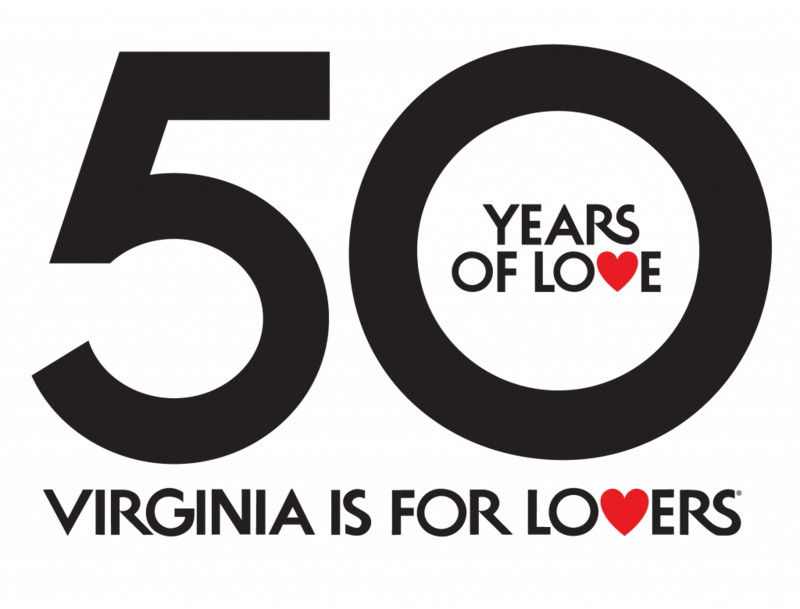 On the weekends, the on-site restaurant prepares a five-course chef’s tasting menu for dinner, and while you might be staying in a fairly remote location, you’ll be hard-pressed to find a better meal in even the largest Virginia metropolis. Lexington is a Virginia town filled with history, and The Georges embraces it fully. The hotel is distinctive in that it occupies not one, but two of the oldest structures in the area, located right across the street from each other. While the buildings date back over 200 years, they were tastefully restored in 2014, with each of the 18 rooms custom designed so that no two are alike. The hotel is just around the corner from both Virginia Military Institute and Washington & Lee University, two of the most historic and beautiful college campuses in the Commonwealth. Don’t miss trying a specialty cocktail or a glass of wine at Taps, the lobby lounge, and plan on having dinner at the impressive hotel restaurant, Haywood’s, at least one night during your stay at the Georges. The Inn at Willow Grove has a long and storied history; built in 1778, the property was expanded in the mid-1800s by the same craftsman that Thomas Jefferson hired to work on his vision of the University of Virginia. In 2008, current owners David and Charlene Scibal saw the potential of the once-great property and set about renovating the historic plantation into a charming inn in the foothills of the Blue Ridge Mountains. Your pampering begins the moment you arrive, as a butler whisks your bags up to your room and a glass of cool prosecco is placed into your hand. The fourteen guestrooms are split between the Main House and surrounding cottages and feature gas fireplaces, private porches, and spa-style baths complete with heated tile floors. Eleven more rooms and suites are currently under construction, as well as a brand-new 3,000 square foot spa with a state-of-the-art fitness and yoga facility. The on-site restaurant, Vintage, is a Forbes Travel Four-Star dining destination, serving farm-to-table dishes with creative twists. In the evenings, a team member arrives to turn down your sheets and serve a special sweet treat along with tea service. Wake up to hot French-pressed coffee and homemade beignets brought to your door. Your every moment will be filled with luxury when you stay at the Inn at Willow Grove. 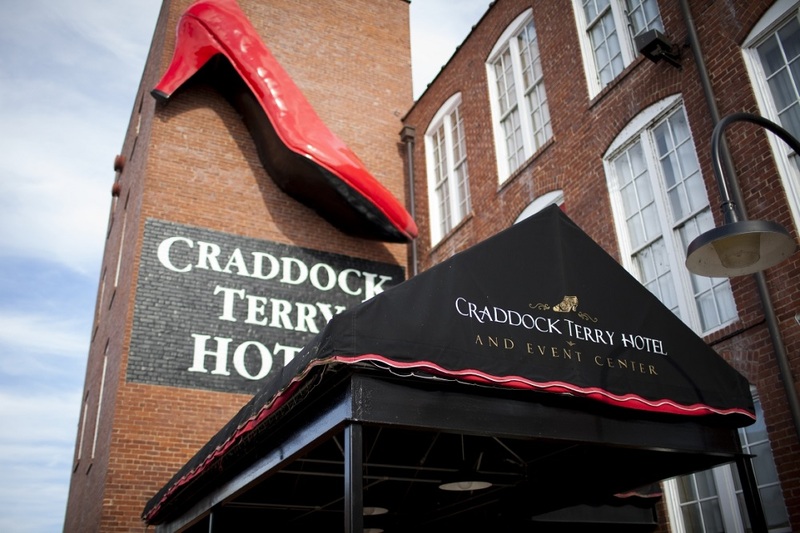 Craddock Terry Shoe Company was founded in 1888 in Lynchburg and eventually grew into the 5th largest shoe company in the world. The shoe company soon became too large for their original location, and in 1905, they moved to an expansive warehouse location. Established in 2007 by the great-grandson of the founder of the shoe company, the Craddock Terry Hotel nods its root as a former footwear company through the décor as well as the service: a complimentary in-room continental breakfast arrives in an old-fashioned wooden shoeshine box each morning, and shoeshines are available for guests upon request. The building retains its historic charm, with exposed wood beam ceilings, brick and stone exterior walls, and nine-foot tall windows that create a rustic, industrial feel, but the hotel is all about providing the modern amenities expected at an upscale Virginia resort. The streets of Old Town Alexandria exude charm and history, and Morrison House fits in perfectly with its surrounding. The hotel resides in a Federalist-style mansion, and the renovated interior blends classic and modern together seamlessly. The subtle touches tip the scales to luxury in Morrison House, like in-room espresso makers and Italian marble bathrooms. The hotel is pet-friendly, and it only one block away from the renowned King Street, where shopping, dining, and historic beauty are all readily available. Built in 1927, The Bolling Wilson Hotel operated until the 1970s when it was converted into a bank, but the building reverted back to its original purpose in 2014. Redesigned to blend the history of the hotel with modern amenities, the Bolling Wilson features 30 luxurious guest rooms. This classic property pays tribute to Wytheville native Edith Bolling Wilson, the second wife of President Woodrow Wilson and the First Lady of the United States from 1915 to 1921. She was a lover of orchids, canaries, and bourbon, and her fondness for these items is reflected in the hotel décor. Just across the street from the hotel, the Edith Bolling Wilson Birthplace Museum showcases exhibits about the figure that has been referred to as “The First Woman President” due to her extensive involvement in Wilson’s presidency. Grab a few drinks at The Perch, the rooftop terrace bar, and take in the beauty of the surrounding Blue Ridge Mountains. Wine, luxurious lodgings, history, and excellent food all within walking distance…what more can you want from a Virginia vacation? Stay at the Wedmore Place Hotel when traveling to Williamsburg and you can get all that and more. Located on the same property as the Williamsburg Winery, the hotel has 28 upscale rooms and suites, each decorated to reflect a different province in Europe. The rooms contain furniture and artwork sourced from the regions they are named for, reflecting the unique culture and history of their namesakes. Ranging in size from 500 to 1,100 square feet, no two rooms at Wedmore Place are exactly alike, but they all share an elegance that speaks to the hotel’s commitment to providing an unforgettable stay for every guest. Be sure to pop over to the wine tasting room at the winery for a glass of their historic Acte 12 Chardonnay, named for a law passed in 1619 that required every male in the New World to plant ten vines of grapes for the purpose of wine production. Take in the scenery of the Appalachian Mountains and the New River with a stay at The Inn at Riverbend. The rooms have a bevy of features, from oversized whirlpool tubs to private balconies with rocking chairs and expansive views. Enjoy a gourmet breakfast on the deck in the morning and finish the day in front of the stone fireplace with a glass of wine as you watch the sun set over the New River. Immersed in nature, this mountainside retreat is perfect for a relaxing, romantic getaway. If you’re planning a trip to Virginia’s Eastern Shore, consider staying at the Hotel Cape Charles, a 101-year old hotel that has been remodeled into a laid-back but luxurious coastal retreat. 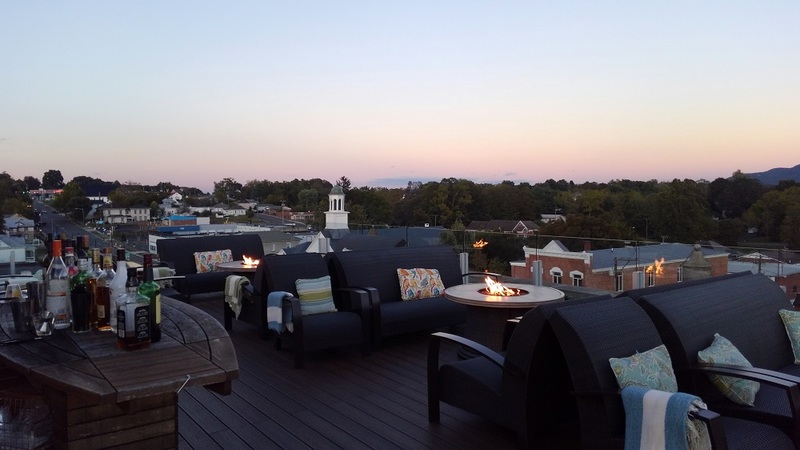 Book a room harbor-side and take in the views of Cape Charles’ quaint streets and scenic waterfront from your private glass-sided balcony, or if you like a little more privacy in your patio, stay off the hotel’s private courtyard. Several of these rooms are also pet-friendly, allowing you to bring along your four-legged friends for an indulgent beach getaway. 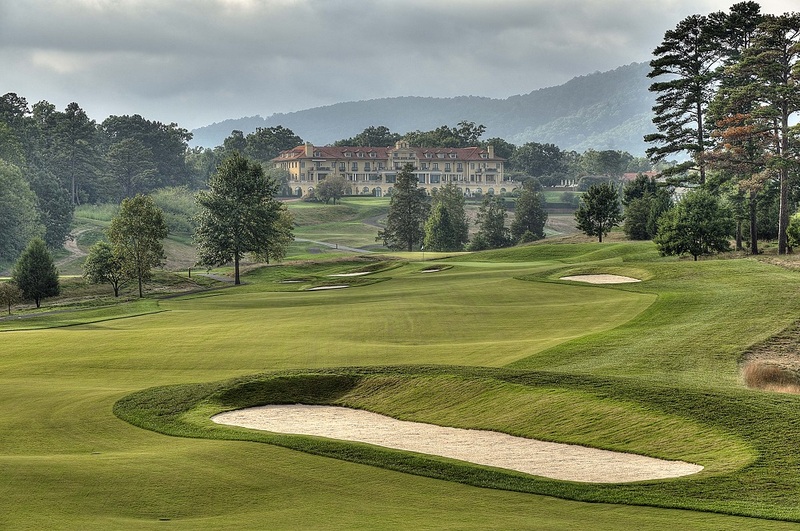 Located on grounds that Jefferson once called the “Eden of the United States”, the beauty of Keswick Hall is just one of many features that makes it a must for luxury-seekers; the small resort has an excellent on-site restaurant, an Infinity pool with views of the spectacular Blue Ridge Mountains, and a signature 18-hole Pete Dye golf course that even the most skilled player will appreciate. 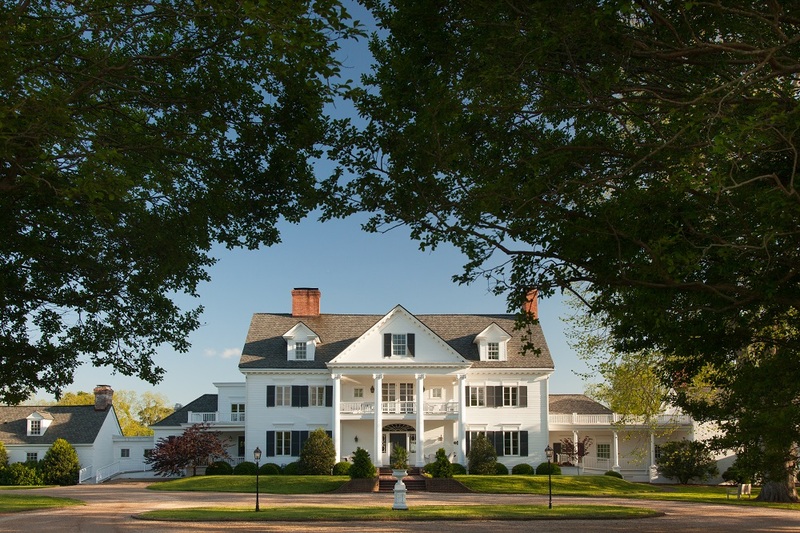 The resort spans 600 acres at the foot of the mountains, and while the grounds are impressive, with archery, paddleboarding, croquet, volleyball, and much more, the heart of the estate resides in the 48-room mansion inn, which also holds Fossett’s, a premiere dining destination that serves upscale Virginia-inspired cuisine. Each room is designed with your comfort in mind, and you’re practically guaranteed to leave refreshed and relaxed after a stay at Keswick Hall. An historic 30-room boutique hotel in the downtown area of St. Paul in Southwest Virginia, Western Front Hotel is a luxury getaway spot for those looking to experience the Great Outdoors in a more pampered way. The new hotel is situated between the Spearhead Trails and the Clinch River, giving you access to ATV riding, mountain biking, kayaking, and more from a comfortable basecamp. Uniquely designed rooms cater to both families and couples, with bunk beds in designated family rooms as well as private accommodations for the couples. Kids will love spending time in The Roost, the hotel hangout area complete with a pool table, dart board, and big screen televisions. 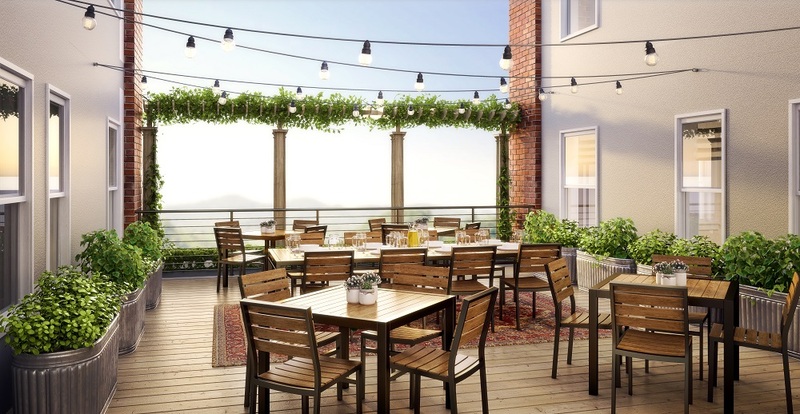 A second-floor patio offers a perfect spot to sample a craft cocktail while you catch a scenic sunset over the mountainous backdrop, and on Friday evenings, the hotel will host live music on their private backyard stage. With a planned opening in November 2017, the Western Front Hotel should definitely be on your list of luxury lodgings to check out in the future.